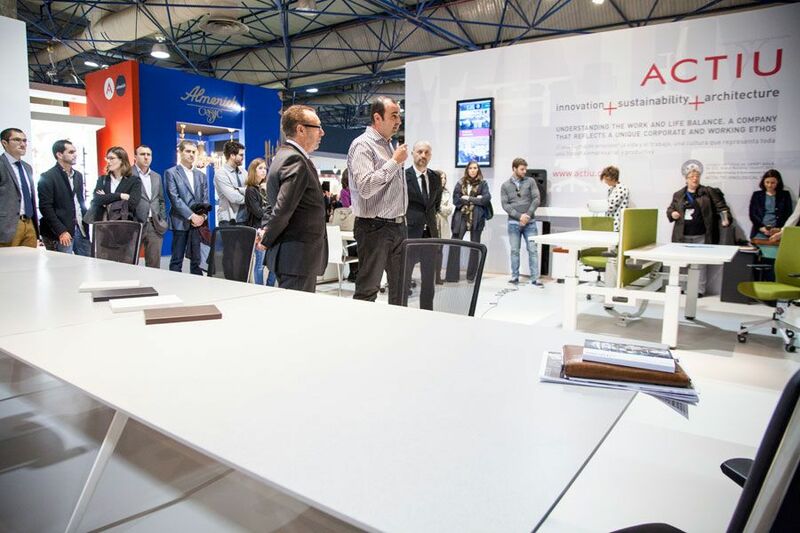 Actiu presented during a ceremony at the Habitat Trade Fair, Valencia, the new desk Arkitek +Dekton® surface, a product that combines the architectural elegance of the Arkitek desk, with the latest technology of an ultra-compact surface Dekton®, developed by Cosentino. 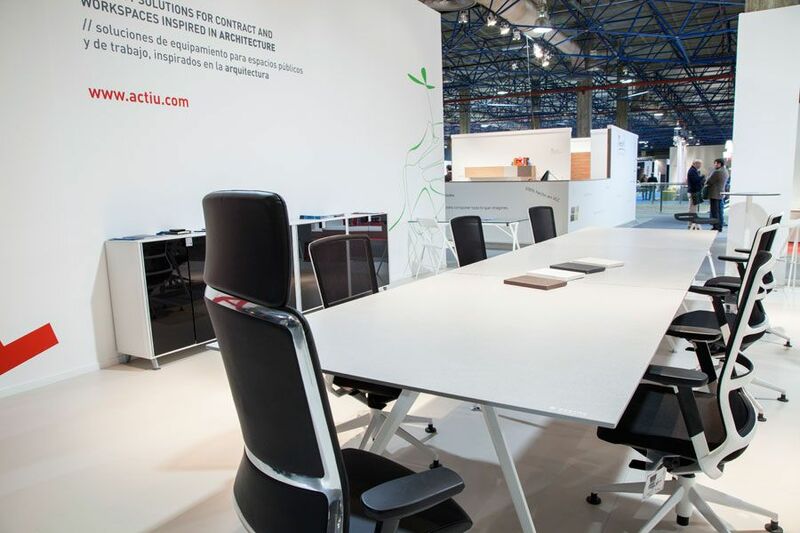 It is a joint project with Cosentino where it combines in the same product both companies values: sustainability, quality and innovation. 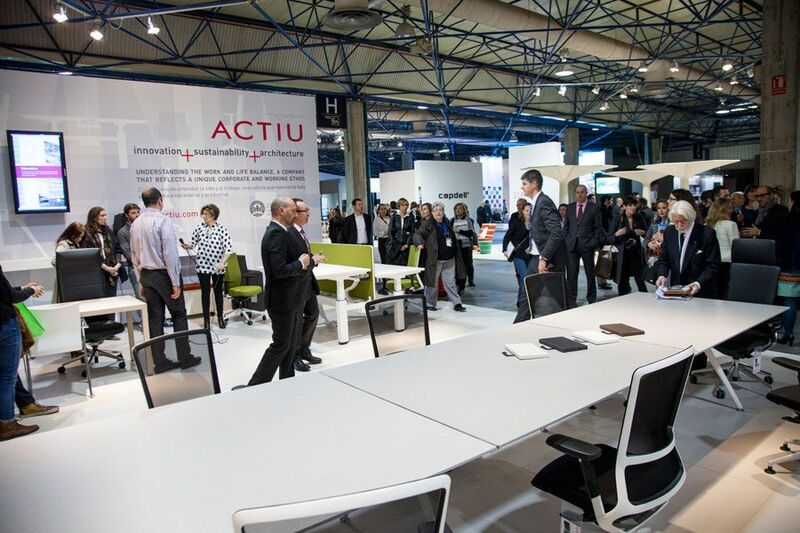 This desk was presented on the first day at the Actiu stand, in the presence of both companies, media and the general public. Arkitek responds to architectural design, whose principals are based on the development to adapt the creation of furniture. 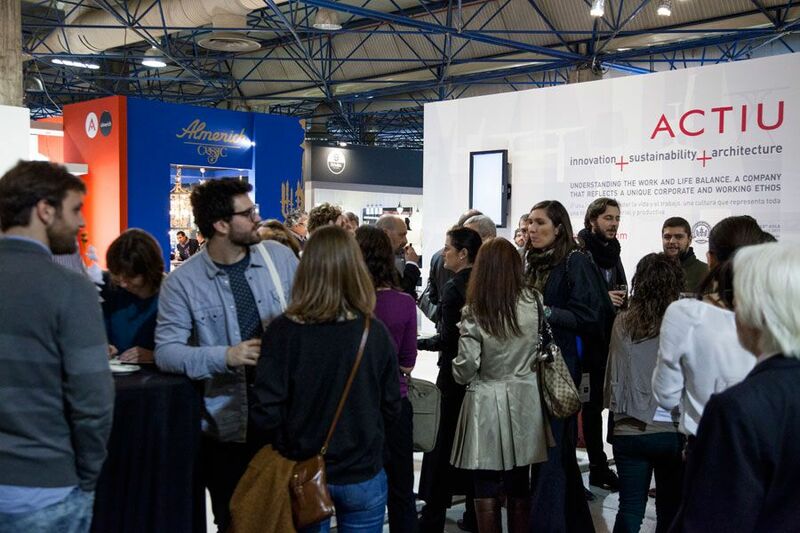 According to Marcelo Alegre, from Alegre Industrial Studio and creator of the Arkitek desk, “my aim was to design a flexible furniture system, which provides great decorative value, guaranteeing its structural resistance but without losing visual lightness of the work surface suspended in the air”. 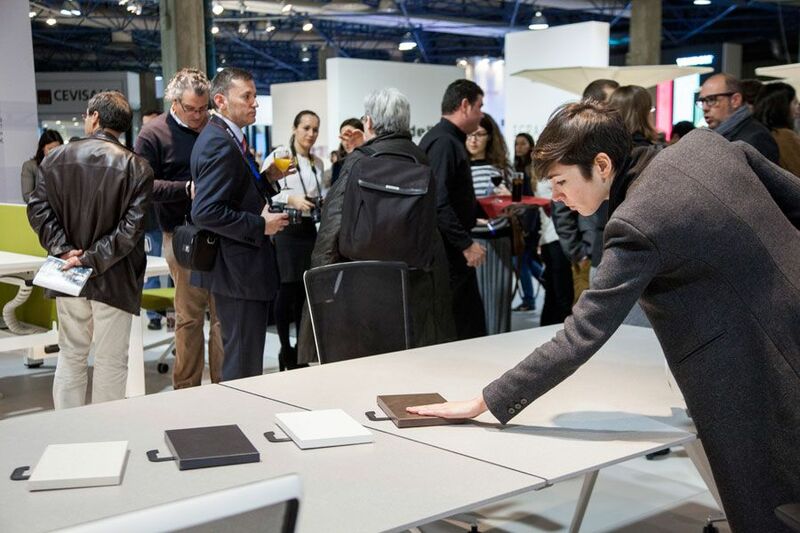 Marcelo Alegre has described the integration into a stony surface with technical characteristics of Dekton as “very positive” in an avant-garde piece of furniture such as the Arkitek desk. 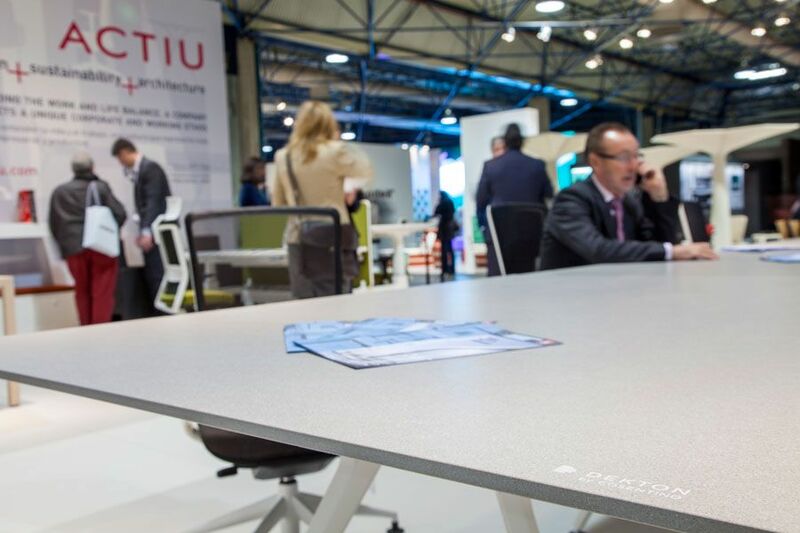 This combination invites us to “get used to our products being capable of supporting many more materials, not only glass or wood”. 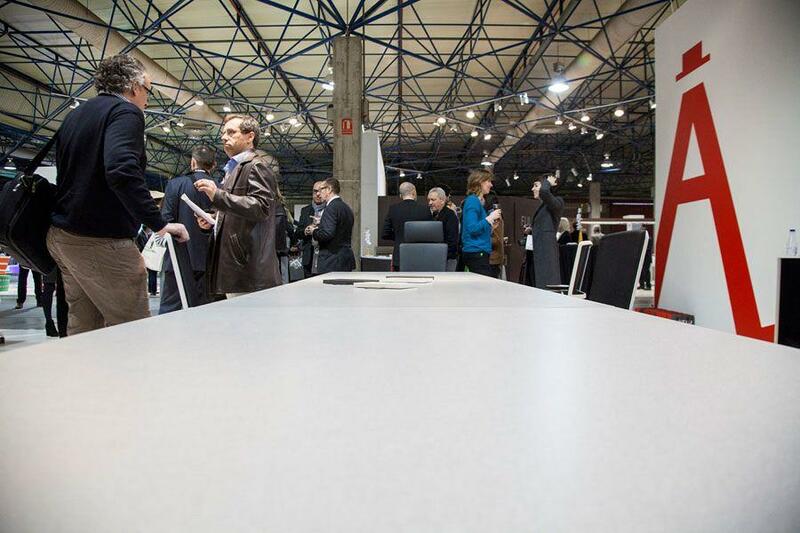 Dekton® is a sophisticated mix of raw materials used to make glass, the latest porcelain and quartz surfaces. 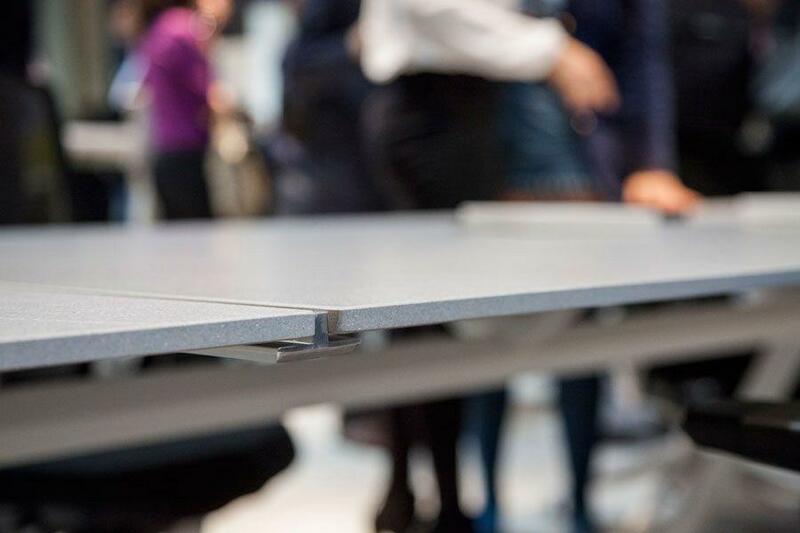 Dekton® uses the manufacture of the exclusive technology TSP (Technology of Sinterezed Particles), a technological process that emulates what nature does in thousands of hours, through an exclusive technological process which sinters mineral particles that link between themselves, change and compact its internal structure. 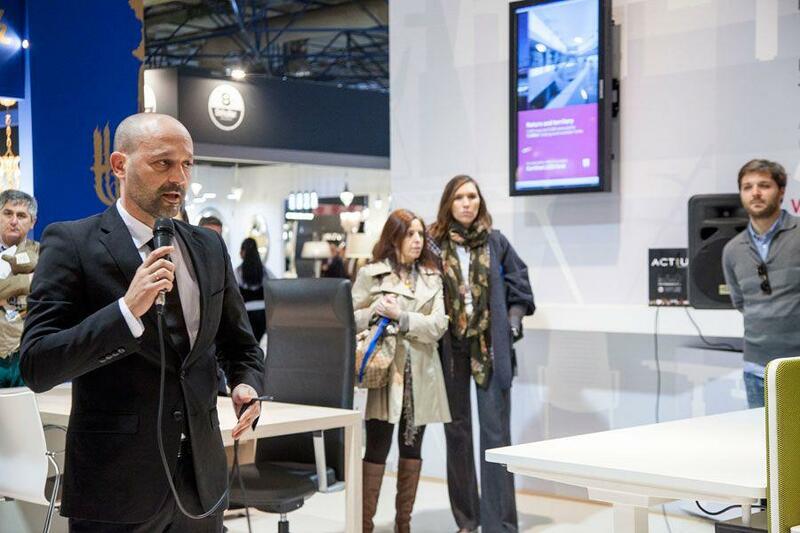 Oscar Exposito Carrasco, Manager from Cosentino Valencia Center states; “Dekton would not be possible without this special concept of ultra-compactness, which enables the manufacture of surfaces in sizes never before seen, with a very fine thickness and ensuring an extreme performance”. 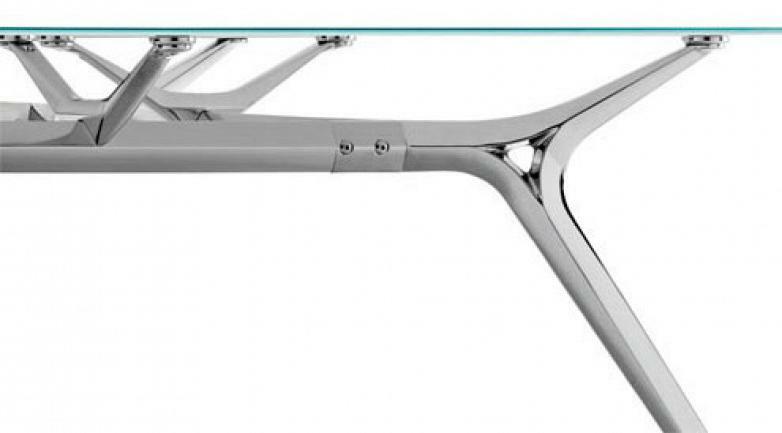 This level of compactness contributes significantly to the low porosity, converting it into a low maintenance and long life product. 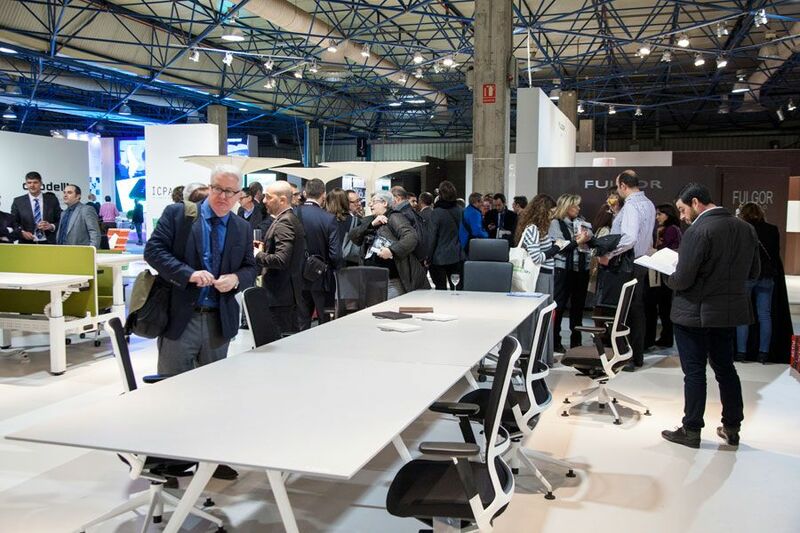 Arkitek+Dekton® surface fuses two closely related sectors such as furniture and architecture. 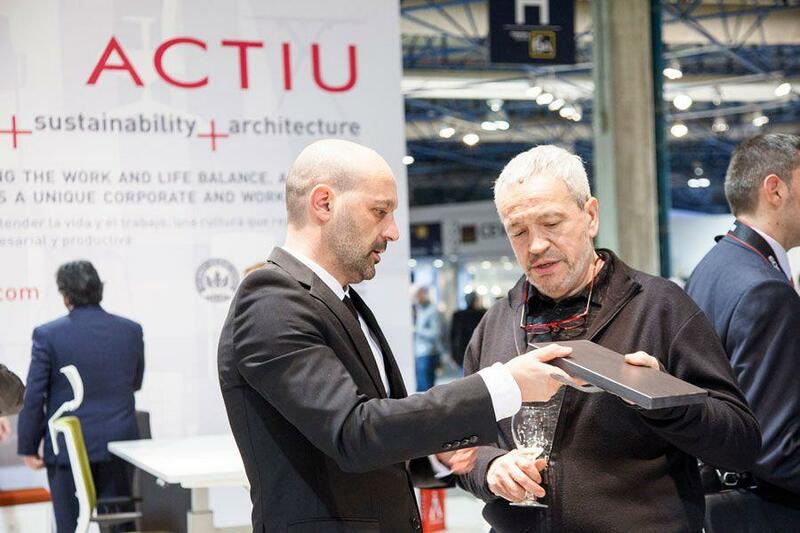 Actiu is committed to opening new fields of possibilities, in new spaces and new functionalities which are projected onto spaces which we inhabit, enabling more efficient, personal and unlimited environments. 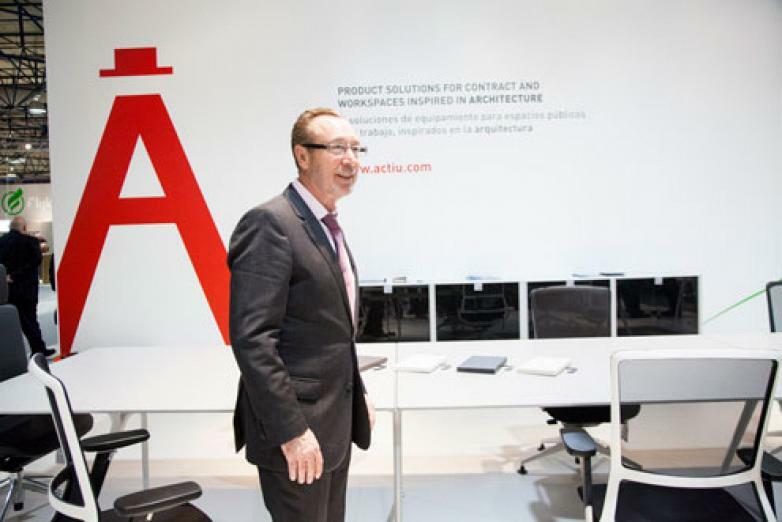 The president and founder of Actiu Group, Vicente Berbegal, said that “we plan from the commitment to provide products and projects that create market expectations, mainly from contract”.